Shipping Policy – Everything we sell is digital. So, as soon as payment has been made, products and lessons are available for immediate electronic download. If you have not created an account or have not received access to lessons after payment, please email us at info@englishanyone.com. If you have any questions, comments or concerns regarding this Policy or any other part of this site or regarding any of our featured products and services or if you have experienced technical problems while using this site, please send an email to support@englishanyone.com. “Buyer” means the purchaser or person whose name is used to register to the for the account and appears on the Order. “Contract” means the order and Order Confirmation (incorporating any Special Conditions). “Price” means the price together with postage and packing (if applicable) in force at the date and time of the Order, subject to any promotional offer or discount then applicable. Because public networks, such as the internet, occasionally experience disruptions, the Seller cannot guarantee the Seller’s websites will be available 100% of the time. Although the Seller strives to provide the most reliable website possible, interruptions and delays in accessing the website are unavoidable and the Seller disclaims any liability for damages resulting from such problems. EnglishAnyone.com and its designees shall be free to copy, disclose, distribute, incorporate and otherwise use such material and all data, images, sounds, text and other things embodied therein for any and all commercial or non-commercial purposes. You may not misuse the Website (including, without limitation, by hacking; using robots, spiders, data mining or similar data gathering tools; and automated submission of data). EnglishAnyone.com shall fully co-operate with any law enforcement authorities or court order requesting or directing EnglishAnyone.com to disclose the identity or locate anyone posting any material in breach of paragraph (b) or paragraph (c) above. In registering for a user name on any of our websites, the Buyer acknowledges and represents that he/she is an individual of at least 18 years of age who can form legally binding contracts under applicable law. The Buyer agrees to keep the user name and password confidential. The Buyer further guarantees that the information supplied to us is accurate. Falsifying or omitting contact information such as a member’s name, address, and/or telephone number when registering with us is not permitted. Users are also not permitted to use fax or disconnected numbers as a telephone number. When using this website the Buyer must obey all applicable international, federal, state, and local laws. The Seller, in its sole discretion, may terminate the Buyer’s user registration for violating any of our Policies. The Buyer agrees that breach of any of the terms in the Contract may also result in the immediate termination of the Buyers user registration and/or give rise to civil action against the Buyer. The Seller reserves the right at any time with or without the Buyer’s prior consent and without liability to the Buyer in that regard to delete from our website all personal information, data, text, files, images and all other materials of the Buyer and to prevent the Buyer from obtaining access to any such data. In particular, it is the absolute policy of the Seller to reject any materials which, at the Seller’s sole discretion, it considers to be obscene, in bad taste or in any other way inappropriate (whether or not to print such materials would be illegal or unlawful). All Goods are offered for sale subject to availability and subject to the Seller’s acceptance of the Order. The Seller reserves the right to reject any Order without the obligation to assign any reason for so doing. No Order shall be deemed accepted by the Seller unless and until it is confirmed unconditionally by the Seller in the Order Confirmation. The Seller has a policy of continuous product development and improvement and reserves the right to amend the specifications of any of the Goods without prior notice. The Buyer shall be responsible for all applicable taxes, including taxes applicable in the territory to which the Goods are sent. Payment must be made by credit card or by PayPal at the time of placing an Order which is accepted by the Seller. Payment in full will be taken at this time and the Contract will be in force. The Buyer undertakes that all details provided to the Seller for the purpose of the Order and its delivery will be correct and that the chosen method of payment is the property of the Seller and that sufficient funds or credit facilities are available to cover the full cost of the Goods ordered. The Seller reserves the right to obtain validation of the Seller’s credit card, or PayPal details before accepting the Buyer’s Order. We do not accept personal checks or money orders. Payment must be made by credit card or PayPal only. For all digitally delivered items within the Goods purchased, the Buyer shall receive access to the Goods after their payment has been verified. Payment is generally verified from immediately after purchase to maximum of 5 business days from time of purchase. For shippable items within the Goods purchased, the place for delivery of the Goods will be as shown on the Order and the normal method of delivery (unless specifically agreed otherwise) shall be regular postage. The Seller will endeavor to process the Order and manufacture the Goods within the time period stated for each item. However, because manufacturing time varies by item of Goods, the Seller reserves the right to combine items into one shipping package or to ship items separately. Each package will be sent separately by regular post, unless otherwise stated in the Order Confirmation. Any dates quoted for delivery of the Goods are estimates only. Time for delivery will not be of the essence of the Contract and the Seller will not be liable for any loss or expenses sustained by the Buyer arising from any delay in the delivery of the Goods however caused. The Buyer must inspect the Goods on delivery and, in the case where Goods have been delivered by carrier, sign the required proof of delivery document or collection acceptance document. A signature on that document will constitute conclusive evidence against the Buyer of receipt of the quantity of Goods indicated on that document free from any apparent defect or damage. The Buyer may not reject the Goods or any part of them solely on the grounds of short delivery of an installment. If the Goods are alleged to be damaged or defective on delivery, a description of the alleged damage or defect must be given in writing at the time of delivery and signed by or on behalf of the Buyer. The Seller reserves the right to make delivery of the Goods by installments. If the Goods are to be delivered in installments, each delivery will constitute a separate contract. The Buyer may not treat the Contract (as a whole) as repudiated if the Seller fails to deliver any one or more of the installments or if the Buyer has a claim in respect of any one or more of the installments. If the Buyer wrongfully fails to take delivery of the Goods, the Seller shall be under no obligation to refund the Price. For all digitally delivered items within the Goods purchased, Seller will make best efforts to ensure access is available 98% of the time, except during posted maintenance periods, however no guarantee is given that this uptime will be met. The Buyer understands that access to the Goods may be removed at any time. If Goods are removed within three (3) months of purchase date, Buyer will be eligible for a refund pro-rated over the three month period to the date the Goods were removed. For all shippable items within the Goods purchased, risk of damage to or loss of the Goods will pass to the Buyer on delivery at the agreed address. Notwithstanding delivery and the passing of risk in the Goods, property in the Goods will not pass from the Seller until the Seller has received full payment of the Price and all other sums which are due, owing or payable by the Buyer to the Seller in respect of the Contract or any other Contract between the Seller and the Buyer. 100% money back guarantee covers price of product only for 60 days from date of purchase. Once a refund request is received the refund process will take no more than 30 days from the date the request was made. All refunds will be either returned to the original credit card. PayPal orders will be credited back to the PayPal account. For Master English Conversation Monthly Members: Cancel anytime. If a cancellation is requested after the first thirty (30) days of membership, and member is not cancelling because they are dissatisfied with the course, cancellation will be fulfilled after all lesson sets have been paid for. Excessive refunds will not be accepted. Refunds will not be given to any one customer for one specific product more than once. There is an unlimited amount of orders that a customer can place for one specific product, but the money back guarantee is void after a customer has used it for one specific product more than once. EnglishAnyone.com, any other party (whether or not involved in creating, producing, maintaining or delivering this Website), and any of the EnglishAnyone.com affiliates or affiliated companies and the officers, directors, employees, shareholders or agents of any of them, exclude all liability and responsibility for any amount or kind of loss or damage that may result to you or a third party (including without limitation, any direct, indirect, special, punitive, exemplary or consequential loss or damages, or any loss of income, profits, goodwill, data, contracts, use of money, or loss or damages arising from or connected in any way to business interruption, and whether in tort [including without limitation negligence], contract or otherwise) in connection with this Website in any way or in connection with the use, inability to use or the results of use of this Website, any websites linked to this Website or the material on such websites, including but not limited to loss or damage due to viruses that may infect your computer equipment, software, data or other property on account of your access to, use of, or browsing this Website or your downloading of any material from this Website or any websites linked to this Website. i) not reproduce or store any part of this Website in any other website or include any part of this Website in any public or private electronic retrieval system or service without prior written permission from EnglishAnyone.com. The copyright and other intellectual property rights in all material on this Website (including without limitation text, photographs and graphics) are owned by EnglishAnyone.com or its licensors. If you breach any of the terms in this legal notice, your permission to use this Website automatically terminates. You are also advised that EnglishAnyone.com will aggressively enforce its intellectual property rights to the fullest extent of the law, including the seeking of criminal prosecution. All trademarks of EnglishAnyone.com indicated on the Website are trademarks of EnglishAnyone.com or its group companies in the United States and other countries. Without the prior consent of EnglishAnyone.com, you agree not to display or use in any manner the EnglishAnyone.com trademarks, including the EnglishAnyone.com logo. While EnglishAnyone.com attempts to ensure that the information on this Website is correct, EnglishAnyone.com does not warrant the accuracy and completeness of the material on this Website. 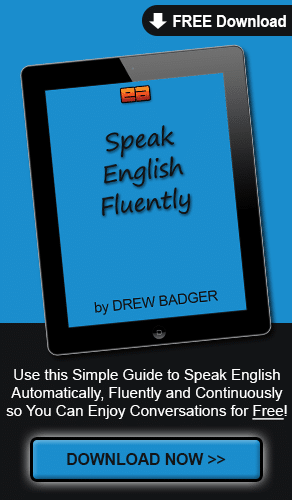 EnglishAnyone.com may make changes to the material on this Website, or to the products and prices described in it, at any time without notice. 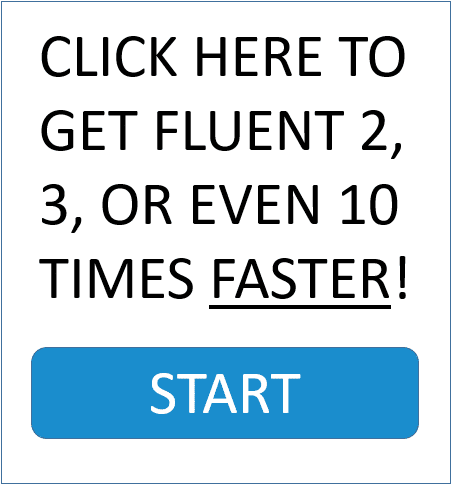 The material on this Website may be out of date, and EnglishAnyone.com makes no commitment to update such material. The material on this Website is provided “as is” and “as available” basis, without any conditions, warranties or other terms of any kind. Accordingly, to the maximum extent permitted by law, EnglishAnyone.com provides you with this Website on the basis that EnglishAnyone.com excludes all representations, warranties (either express or implied), conditions and other terms (including, without limitation, the implied warranties of merchantability, fitness for a particular purpose, non-infringement and the use of reasonable care and skill) which but for this legal notice might have effect in relation to this Website. a) Governing Law and Jurisdiction. This legal notice shall be governed by and construed in accordance with the laws of Illinois in The United States of America. Any dispute arising out of or connected with this legal notice shall be subject to the exclusive jurisdiction of Illinois in The United States of America. b) Entire Agreement. The Conditions constitute the entire agreement between you and EnglishAnyone.com and govern your use of the Website, superseding any prior agreements between you and EnglishAnyone.com with respect to the Website. You will be subject to additional terms and conditions that will apply when you use or purchase EnglishAnyone.com services and products. c) Waiver and Severability of Terms. The failure of EnglishAnyone.com to exercise or enforce any right or provision of the Conditions shall not constitute a waiver of such right or provision. If any provision of the Conditions is found by a court of competent jurisdiction to be invalid, the parties nevertheless agree that the court should endeavor to give effect to the parties’ intentions as reflected in the provision, and the other provisions of the Conditions remain in full force and effect. d) Statute of Limitations. You agree that regardless of any statute or law to the contrary, any claim or cause of action arising out of or related to the Conditions must be filed within one (1) year after such claim or cause of action arose or be forever barred. Information on Seller’s website may contain technical inaccuracies or typographical errors. The Seller attempts to make its descriptions as accurate as possible, but does not warrant that the content of its website is accurate, complete, reliable, current, or error-free. The Buyer agrees to indemnify the Seller and its affiliates, employees, agents, representatives and third party service providers, and to defend and hold each of them harmless, from any and all claims and liabilities (including attorneys fees) which may arise from the Buyer’s submissions to the Seller’s website, and/or from the Buyer’s unauthorized use of material obtained through the Seller’s website, and/or from the Buyer’s breach of the Contract, or from any other loss or damage of whatever kind suffered by the Seller caused by the Buyer’s use of the Seller’s website. Links to third party websites on this Website are provided solely for your convenience. If you use these links, you leave this Website. EnglishAnyone.com has not reviewed all of these third party websites and does not control and is not responsible for these websites or their content or availability. EnglishAnyone.com therefore does not endorse or make any representations about them, or any material found there, or any results that may be obtained from using them. If you decide to access any of the third party websites linked to this Website, you do so entirely at your own risk. h) EnglishAnyone.com expressly reserves the right to revoke the license granted in Section 2 for breach of these terms and to take any action it deems appropriate. You shall fully indemnify EnglishAnyone.com for any loss or damage suffered by EnglishAnyone.com or any of its group companies or affiliates for breach of paragraph (b) above. The Seller reserves the right to make changes from time to time to the nature of and/or the way in which it provides it services under contracts with Buyers and, in consequence, to make variations and amendments to our Policies. Buyers who use the Seller’s services on a regular basis should check the relevant links regularly before placing Orders. If you have questions or comments regarding EnglishAnyone.com products or services, please email us at info@englishanyone.com.